by Dr. Rachael Cook, assistant professor of soil fertility at Southern Illinois University at Carbondale. 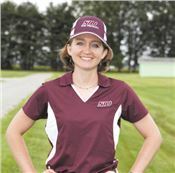 Nitrogen management in Southern Illinois is a project under study by Dr. Rachael Cook, assistant professor of soil fertility at Southern Illinois University at Carbondale. One issue of the project is whether nitrogen can be managed better by applying it later in the season. Are there certain enhanced efficiency fertilizers that could be effective at improving yield and reducing environmental impact? Some things being considered are UAN versus urea with and without Agrotain, which is a urease inhibitor. Findings so far are from field sites at Dixon Springs, Belleville and Carbondale for the southern sites; there’s also cooperation with the University of Illinois on some central and northern Illinois sites that are replicating the study there. “For us, last year, we found different results in different places as you might expect, because you have site conditions and you have weather conditions that are slightly different,” she said. “The main take home that we found was that the urease inhibitors weren’t really necessary since we had enough rain. Urease inhibitors are generally more effective if it’s dry a week after urea broadcast application. We got enough rain so the urease inhibitors weren’t really necessary. We found that ESN, the polymer coated fertilizer did very well. It was put on broadcast at planting, with the same amount as everything else, and yielded the same as other N applications. The late season V10 urea applications also did very well, they were all essentially the same as at planting,” Cook reported. This will be a three-year project so the results may be a little different from year to year depending on site conditions and depending on weather. Because of that, Cook recommends farmers have some options for nutrient, nitrogen management strategies, depending on what works best for an individual. “However, we’re trying to push more of the nitrogen on around the time when the plant is trying to take it up,” she said. “So when plants are very small at planting which is when people generally put on their nitrogen, the plant isn’t taking up very much nitrogen. They really start cranking and taking it up around V6 and they’re taking up a lot all the way up until V10, VT. That’s when we want to push more of the nitrogen on, when the plant is ready and taking it up. “The trade off happens, such as this year if it starts raining right after planting and doesn’t stop, you may not be able to get in at V6 or even VT,” she explained. “That’s where something like ESN might provide a little more of an option, if you’re afraid it’s going to be rainy or you might not be able to get back in.